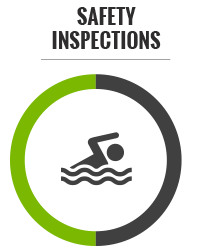 Our pool safety inspectors offer a professional service with a personal touch. Our pool safety inspectors are punctual, informative, thorough and provide cost effective, practical and aesthetically pleasing solutions. Our pass first time rate is high and believe that this is due to the assistance we provide prior to the inspection and whilst on site. John thinks outside the square when it comes to providing practical solutions to nonconforming issues within everyone’s budget. He is extremely friendly, patient and informative. John effectively communicates at all levels and does not compromise on safety. John has been a pool safety inspector since 2010 when the legislation was first introduced. We receive a steady flow of positive comments regarding his service standards and he regularly goes above and beyond assist our customers. Helen is your first point of contact and understands the importance of making what is a ‘grudge’ purchase a pleasurable experience. Highly knowledgeable with the legislation, she will provide you with as much information, or as little, as you want. Helen has been a pool safety inspector since February 2011 and is very thorough with her inspections. She also is able to provide cost effective solutions for nonconforming issues and is known for her quirky pink tape measure and power drill. 1. Experienced and dependable. We are here for the long term. In a high turnover industry that is important. 2. Impressive reputation. This is reflected in the steady stream of testimonials, referrals and repeat customers. 3. Flexible and informative. 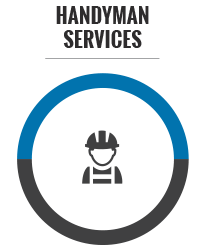 We offer a variety of options depending on your budget and needs. 4. Punctual and hardworking. We will be there when we said and will work in just about all weather conditions. 5. Cost effective. 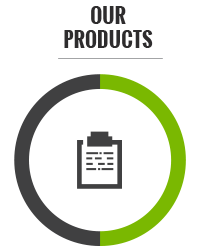 We will wherever possible provide solutions that will not break the bank. 6. Follow ups. Time flies so we set reminders for the expiry of your certificate. Thank you Helen and your team for your recent timely and hard work (in the heat) to rectify and certify our pool prior to placing our home on the market. We appreciated your prompt and professional advice regarding outstanding issues but what’s so fantastic is that your business offers the repairs. No explaining or lengthy time frames involved. We have spoken to two local real estate agents to pass on your details as we believe it’s a standout business. But perhaps you’re already booked solid!!! Thanks again for all your hard work and for completing our work in a timely manner. We recently used the services of the Big Tick pool assessors and could not be happier with our choice of company. Prompt service, friendly communication, super efficient and thorough work not to mention the extra help afterwards cleaning up. Well worth the peace of mind knowing the correct procedures were carried out and all necessary recommendations followed through. Could not recommend the company highly enough. Just a quick note to say thank you for your friendly, prompt and reliable service, from the booking, to the inspection and receiving our certificate all in a week is outstanding. Your organisation of a pre-inspection checklist and help on the phone were invaluable. Great to see people genuinely interested in customer service. I have already recommended your services to family and friends. Thank you for your fast and efficient service. The website and information provided prior to the inspection was most helpful. The inspector was very thorough and I would be happy to recommend The Big Tick to friends and family if or when pool safety inspections are required. Well you get the “Big Tick” from me. Prompt service, good advice and a very reasonable price. We were really pleased with the help and service that you and the men gave us. The men were very helpful and polite when they came out, they even told us where we could get the timber we needed.